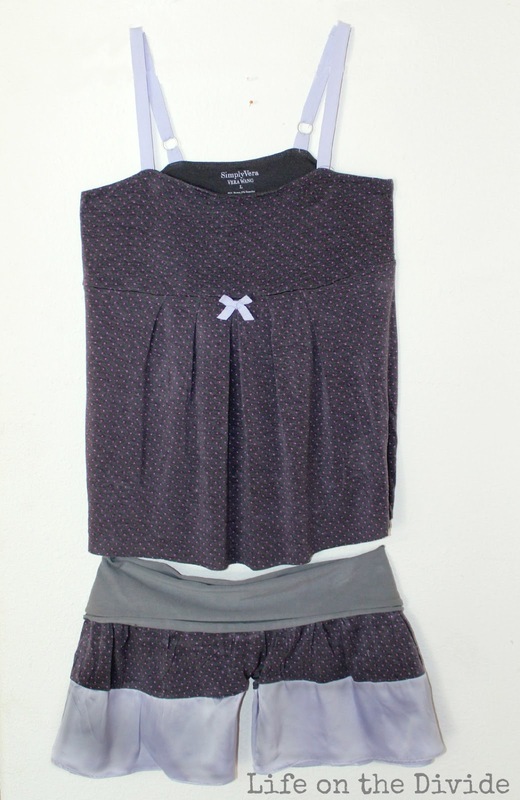 Want to make this cute little PJ set? Sure you do, because it it super easy and I am going to show you how. Step by step with huge photos. SO you hardly have to do anything, just scroll down this little blog page, look at the pretty pictures(well the color is actually really bad) and absorb all the info into your huge crafter brain. 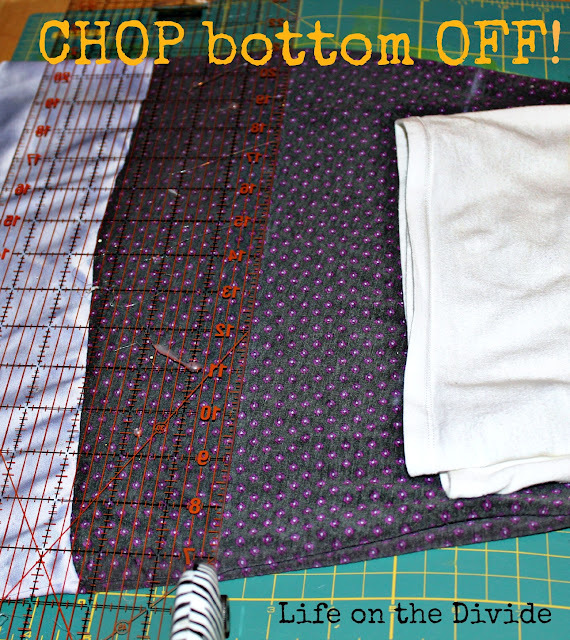 Then grab an old OR thrifted night gown and CHOP IT UP! So I made it out of a cute little night gown I got at the Goodwill. I was excited at first when I found it because it was new and very soft. The brand is "simply vera vera wang". So I thought it was some expensive brand. I swooped it up for a few bucks not sure what I was going to do with it. Now since I felt like a Kardashian, owning some Vera and all, I looked it up on line to see where this little number came from. Well friends let me tell you, Khols was not what I was expecting. Moving on from that embarrassing moment... I am not really a night gown gal. However I am TOTALLY a tank and short set gal. So I figured why not fix it up so it is more my style? I know that is what Vera would have wanted. The first thing you need to do is get your supplies toghter and it is likely that you have them all at home right now... so what are you waiting for? Oh yeah, the directions. The way that I like to measure this type of project is very easy and it works on all types of sewing and refashioning projects. 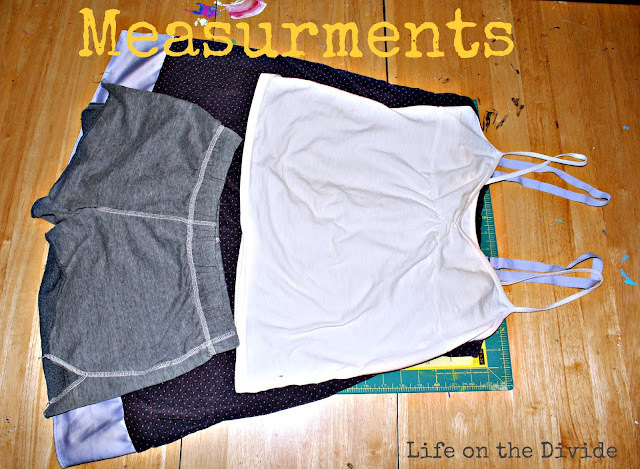 This is another example of how I used this same way to measure a refashion. Since I want to make this gown into a tank top and short set, I used a tank top and pair of shorts I own that fit in a way that I like. After you make the cut you will have a "top" piece and a "bottom" piece that looks like a skirt. I am leaving my top as is(with out hemming it); so the top is done! 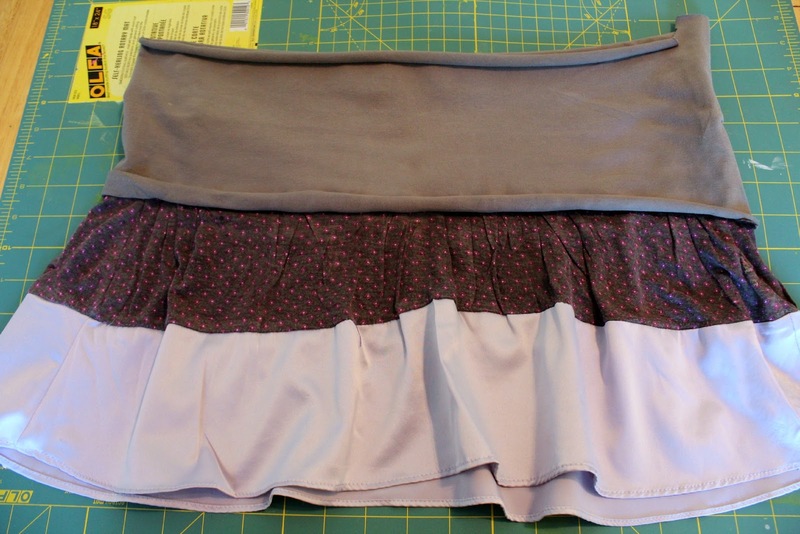 Now I only need to make the bottom portion into shorts rather than a scarp of fabric. I used a waist band of some old yoga pants. 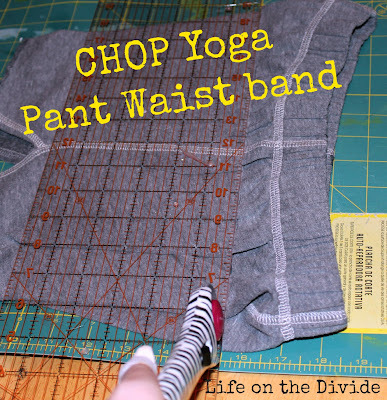 So I just chopped the waist band of the old yoga pants. 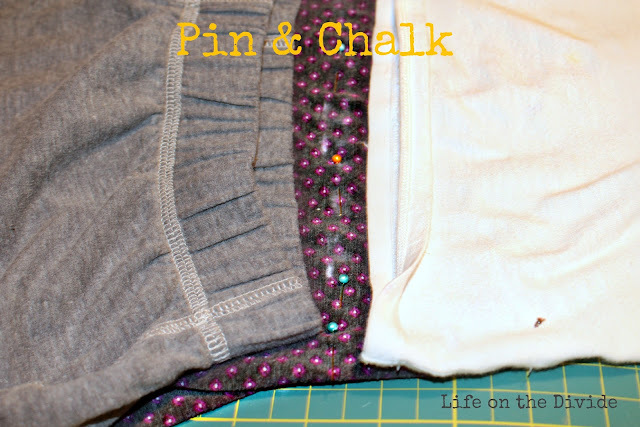 Make sure to save the pants for a future refashion. 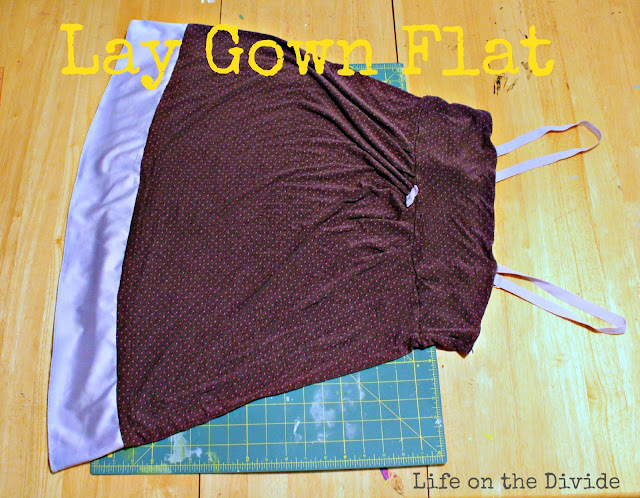 Pin the new waist band, to the bottom portion of the gown. (The part that dose not look like a tank top) The bottom piece was(and should be) much wider then the new waist band so I pinned folds into it that will give a slight gathered or pleated look. I wanted to leave raw edges on the waist band because I love that look and how that fabric will curl up when left this way. To do this I pinned the gown fabric on top of the waist band fabric, right sides down. You could fold it under to give a clean finished look, if you like that look more. This is how it will look after the waistband is stitched to the bottom section of the gown. To give the raw edges that "curled" look, just pull on the fabric to stretch it for a few seconds and it will curl under on its own. I did not stitch too close to the edge so that some of the fabric will curl under. 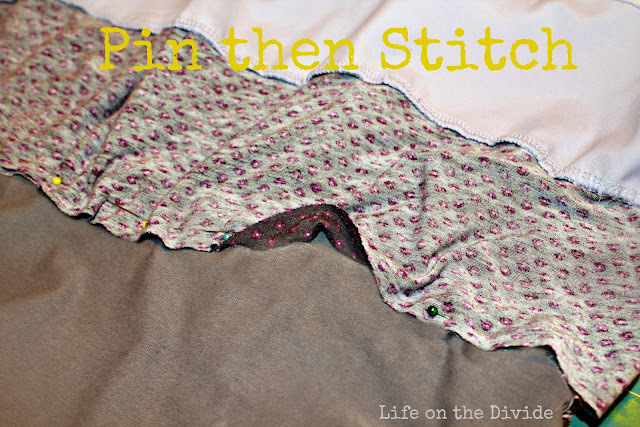 If I would have stitched right along the bottom then stitching would be viable and not curl up like it did. Ok this is how you make the skirt into shorts. 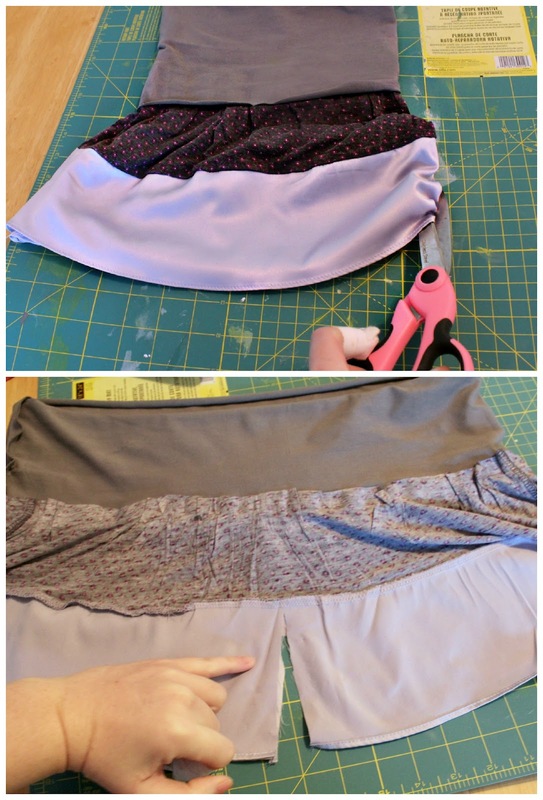 Fold the skirt in half and make a cut down the center. I had a section of silk fabric and decided to make my short legs as long as the silk. You will have to do what is best for your size. Then unfold and you will have a skirt with a slit down the center. Then pin and stitch the legs shut to create the shorts. TA-DA! this is how mine looked. I just LOVE how they turned out! 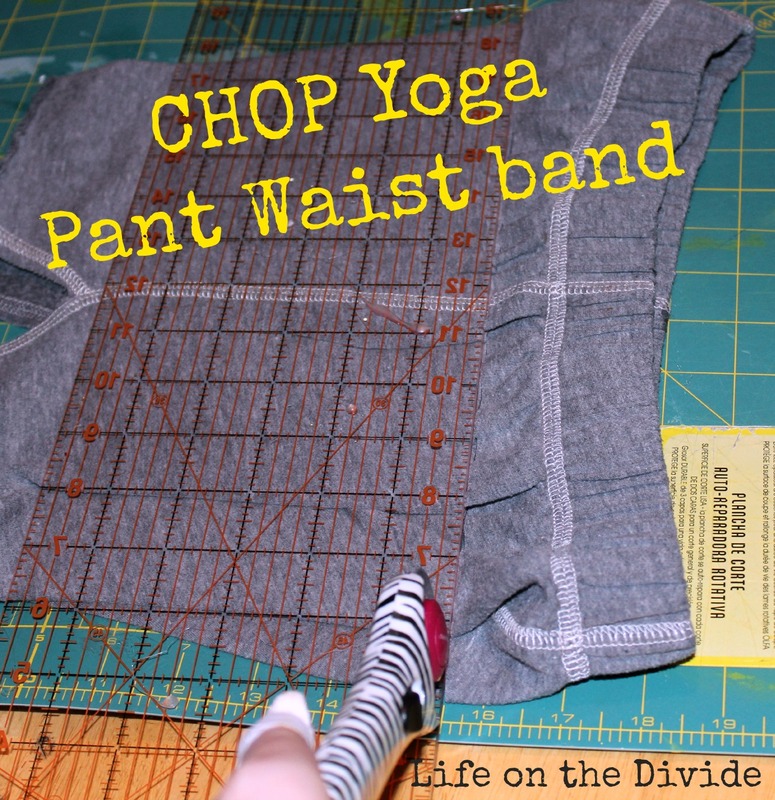 I folded the yoga waist band down, but it can be worn up as well. *NOTE You can see where I pressed the fabric before I stitched it and how that created slight pleats in my new shorts. It also made the fabric color look funny, but that will go away after I wash the shorts. The whole set is so cute. 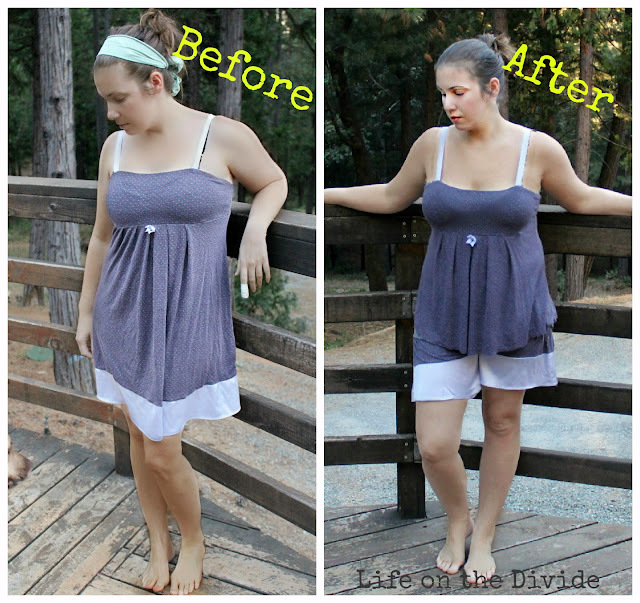 I am very happy with how this refashion worked out, I have already worn it a few times. So are you going to try and make this? let me know if you do I would love to see pictures of how your night night set worked out. Thank you so much for looking at my Refashion today. I would love to know what you think. Why I love Labor Day! 2012 - My Life on the Divide. Powered by Blogger.